I recently attended a special lecture given by Hiroyuki Kunugi, Curator of the Okinawa Prefecture Peace Memorial Museum in Mubuni, Okinawa. He was visiting Hawaii as part of the “Exhibition of Peace”. It is a collection of peace messages, essays and poetry created by the children of Okinawa. The goal is to demonstrate the children’s understanding of the horrors of war and to promote peace throughout the world. Mr. Kunugi’s talk was “Peace Lecture – What we have Learned through the Battle of Okinawa.” He summarized what happened in that battle. More importantly he showed how it affected the people of Okinawa. He gave the lecture at Hawaii Okinawa Center on Oahu. I knew that this battle had been fierce and bloody. But Mr. Kunugi brought the experience to life using actual war photos and film footage. It was a very moving experience. The Americans landed troops on Okinawa Island on April 1, 1945. By the end of May the Americans had the Japanese headquarters at Shuri surrounded. If the Japanese had surrendered then, over half of the civilian deaths would not have happened. But they didn’t. Instead they retreated south and continued to resist. The battle lasted almost three months. It ended only after the Japanese commander committed suicide. The fighting stopped on June 23, 1945. The Japanese knew they would lose the battle from the very beginning. They were outnumbered 5 to 1. But their mission was to drag the battle out as long as possible to give Japan time to prepare for the “final battle” to protect the Japan Mainland. June 23 is now Peace Memorial Day in Okinawa. Mr. Kunugi told heartbreaking accounts about people hiding in the natural caves on the island, called gama, for protection. Retreating Japanese soldiers and Okinawan civilians often ended up together in the same caves. Americans advanced on the caves one by one with grenades and flamethrowers. The civilians were trapped. He spoke about mothers forced to kill their crying babies to avoid being detected in the hiding places. And sometimes the Japanese soldiers would evict defenseless civilians from a cave altogether so they could use it to save themselves. Some Japanese medics would give their own wounded soldiers a mixture of cyanide in milk to kill them, rather than allow them to surrender or be taken prisoner. He told about how the Japanese soldiers did not want the civilians to surrender. They told the Okinawans that Americans would torture and kill anyone who surrendered. They encouraged people to commit suicide instead. Unfortunately, many did. In reality the stories about American torture were not true. The heaviest casualties occurred at Mabuni in south Okinawa. That is where the The Cornerstone of Peace monument stands, erected in 1995. It commemorates the lives lost in the “typhoon of steel” that took so many lives. Inscribed there are the names of all fallen souls from that battle, some 240,000 names in all, including those of Americans and Allied forces. Mr. Kunugi ended by expressing his sincere desire to hand down and spread the “Heart of Okinawa”, the “Heart of Peace” through the creation of these children’s’ works. He captured it in the Okinawan expression “Nuchi du takara”. Life is a precious treasure. After the lecture, one gentleman in the audience raised his hand. His wife had been sitting quietly beside him throughout the lecture. He volunteered to share his wife’s experience in that battle. Here is her story: When the battle started, she was 3 years old and living in Okinawa. She was one of those who managed to survive the ordeal by living in the caves. When American soldiers finally found her, she was suffering from diphtheria. An American medic cut a hole in her throat so she could breathe, and saved her life. She still has the scar today. Life is truly precious. Nuchi du takara. Okinawa has always been important in the Asian region, both economically and strategically. Why? Its location and its people have made it so. 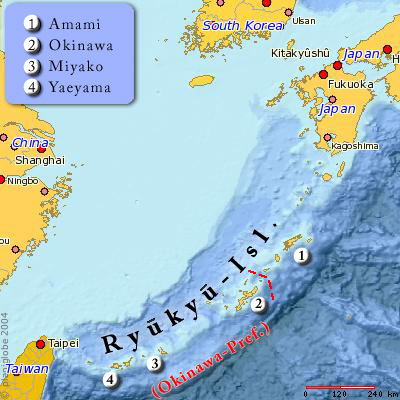 The Ryukyu archipelago is a chain of over 150 islands. They stretch 700 miles from Taiwan to Kyushu, Japan, the westernmost island of Mainland Japan. 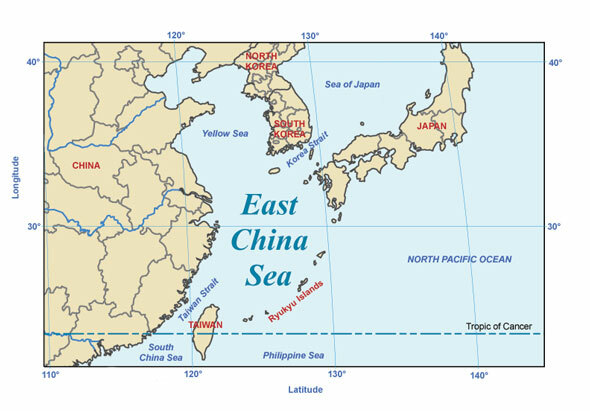 They separate the East China Sea from the northern Pacific Ocean. The total land area is about 1,800 square miles. That is a little larger than Long Island (1,401 square miles). The Ryukyu Islands are split into four groups. The Amami islands are closest to Japan’s mainland. Today, they are part of Kagoshima Prefecture. The remaining three groups, Okinawa, Miyako and Yaeyama, make up what is now Okinawa Prefecture. Miyako and Yaeyama are closest to Taiwan. Many of the Ryukyu Islands are too small to support life. Okinawa Island is the largest, and the main island where most of the population lives. Even so, its land area is 454 square miles. That is about the size of Los Angeles, which is 469 square miles. Compared to Japan, Okinawa is less than 1% of Japan’s total land mass with a population of 1.4 million. Japan’s total population is 130 million. The Okinawan climate is subtropical. It has clear blue skies, green vegetation, white beaches, and is surrounded by clear ocean waters. Typhoons are frequent visitors. It has rugged mountains and miles of shoreline with many good harbors. 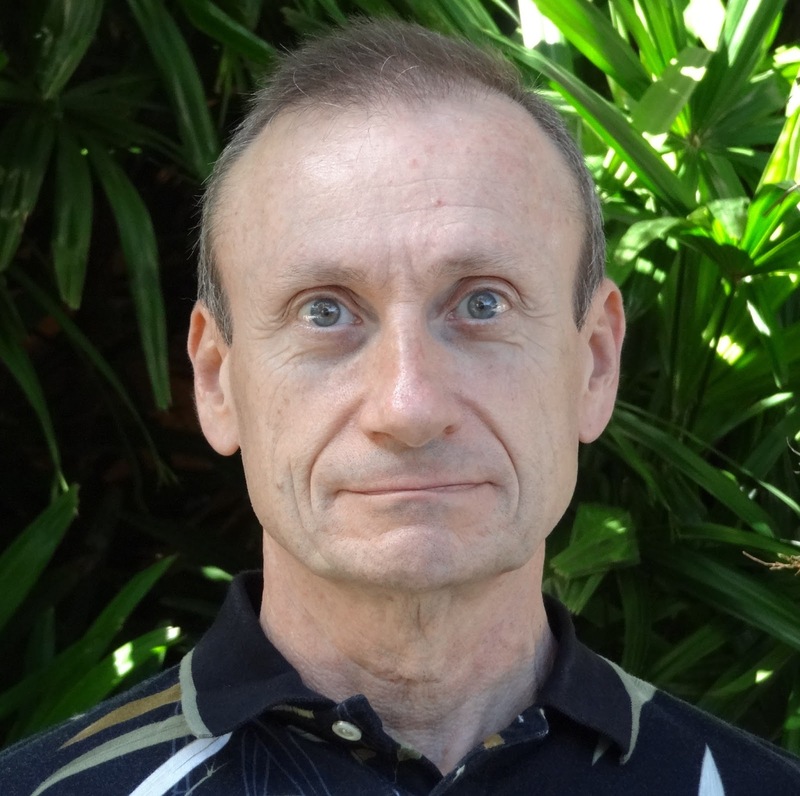 So why is Okinawa important to the Asia Pacific region, both in the past and today? Its central location in the East China Sea makes it very accessible. Okinawa is 400 to 500 miles from China, Taiwan, Korea and Japan. That is roughly the distance from San Francisco to San Diego. The islands also lie in the path of an ocean current called the” Black Current”, or Kuroshio. The name comes from its deeper blue color than the surrounding water. The Black Current flows from the Philippines north to Taiwan, then along the Ryukyu’s, and up to Japan. Trading ships from Southeast Asia and other countries could easily reach Okinawa in this way. The Okinawan people’s gentle nature and welcoming attitude also has contributed to their central role in the area. Historical reports repeatedly speak of visitors who landed on Okinawan shores being struck by the generous hospitality and kindness of the Okinawans. From earliest times Okinawa has been a mixing pot of technology, arts and crafts. For most of its long history, the Ryukyu kingdom was a separate country from Japan. Okinawa has embraced new ideas and developed its own unique culture. This is a result of the intermixing of many different influences - not just from Japan - but from countries throughout Asia. The Okinawan people’s gentle nature and welcoming attitude have fostered a truly unique culture that sets them apart. As was true in the past, Okinawa today is still the gateway to the Asia Pacific area, and continues to foster the spirit of being a “bridge between nations” for the world.